As I said, his salad-making vocabulary to pretend we are too stupid to understand what he was really saying . After a minute of thinking about it, a better way to have put what he said would have been that science merely "explains" what is happening (the observation). It does not currently, to his knowledge, have explanations for "why" the emergence happens (just that it does, and I'm guessing that in his belief, it does so suddenly and markedly). He wants to stress that science is the "how" but not the "why." Thus, to him, how in the world 5 x 5 can be 25 instead of 10 (2-dimensional emergence over 1-dimensional emergence) has not been explained, since you'd have to add those extra 15 from somewhere. Yet for example, a single water molecule is not "wet"... there has to be enough concentration to trigger our sense of wetness. So some people will those experience wet fogs while others will think they are not so wet of a fog. There is probably a spectrum in abilities to sense different concentrations of fluids and/or water. Last edited by LuminousTruth; 03-25-2019 at 11:02 PM.. Interesting way of looking at it. It suggests you have the type of mind that can actually engage the issues effectively. Perhaps you can explain what makes the existence of a sequence of sounds into a melody??? Where does the melody reside since it is not resident in the sounds themselves.???? What does this suggest about all the so-called emergent properties??? You mean you see an opportunity to tangle the Luminous one up in the tangle of fallacies that you call 'philosophy' in hopes to make people doubt everything that we take it that science has found out. Music is rather like everything else that humans do - human inventions, based very often and more or less on some evolved instinct. I have seen a number of composers try to pare music down to essential basics to find out what they are, and they ended up with nothing. It is a human construct, like literature, dance and painting. Back in the day (you may remember) it was argued that 'Art' was something that science couldn't explain, though they preferred to say that 'Spirituality was a place that science couldn't go', thus creating a gap for god and subtly decrying science as limited and unaware of the wider knowledge that only could be accessed by Faith. It is almost axiomatic that you are entitled to your own opinions about art, but one is not entitled to their own facts. Now you want to turn human constructs of art into some fact that science is unable to explain so as to ....I suspect do this odd business that God -believers always seem to want to do - pretend that science knows nothing. I can only guess because they think that somehow makes their God -claims equally valid. In LT's position, I'd tell you to go trundle your hoop, but I'll let him decide for himself. Interesting way of looking at it. It suggests you have the type of mind that can actually engage the issues effectively. Perhaps you can explain what makes the existence of a sequence of sounds into a melody??? Where does the melody reside since it is not resident in the sounds themselves.???? A back propagation network modeled on neurons of the brain can recognize different melodies, which is even more evidence that it is the brain that is responsible. What does this suggest about all the so-called emergent properties??? That we evolved to see patterns that give information, and that we evolved further to enjoy these patterns. Cue deflection, word salad and something irrelevant from Arach. One question mark per interrogative sentence is enough for me, thank you. Not that my attention span is too far above average. In this case, a melody is similar to wetness. The property would be called "melodious." Cats can sense different cat-loved/understood/effective melodies. Birds can sense different types of melodies (think kakapo or penguin). Humans are similar yet different from the sensory animals in this way. I myself was never really interested in music theory, but I believe that according to some: tones in a certain temporal order at a certain temporal speed are sensed and are understood by the brain in different ways (different addicting/affecting chemicals are released from non-sensing compartments into sensing areas of the brain.). Different notes follow each other in a certain way at a certain speed and at a certain rhythm. So some people will like some melodies, while others will like others, not exclusively or at the same times. Just a hypothesis, I haven't really red any research about it. Melody is thus resident in the sounds, just like stickiness (magnetic stickiness) and small runniness (wetness) water molecules are all sticky and runny (wet). Air molecules are not as sticky or present, so they are not sensed as well. Thus a medium-dense fog will be runny and sticky to some, to others just different levels of sticky, and to others, it will be as runny as air. Some people will perceive different tones better than others, different speeds will be more easily processed or enjoyed than others, and certain rhythms will be more or less memorable than other respective of each individual. I hope my explination did it justice. the Transponding one is weak and scared of tiny little topic spiders. Spiders are friends, not food. The topics won't jump up to get you. Didn't you watch beloved children's stories? Doubt is the most important thing my friends. Learn to love it, and you will feel very happy and smart. Science has not fear of doubt, no tangle is strong enough to not serve as a good lesson against tangles. Kind and De-escalated. This is writing after all. I have nothing much to fear in writing. And yet all my infinite motivation is on ending the falsehoods. So I outline my agnosticism and sincere attempts at an understanding over my knowledge of the details and aversion for fallacious, confusing, and or biased things (which I could never delineate enough now). Thus with their fear reduced, it invites acceptance. I heard humor works just as well if not better than kindness. How better is then kindness masked as non-debilitating humor. I like all of that, from the suggestions of why we developed music to being comfortable with doubting and questioning everything, and the value of humor. 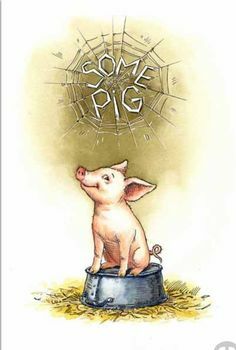 And I am indeed a little piggie - according to the Chinese calendar. Ah but Qualia, from whenever could we explain Qualia! Thankfully, the sensing animals are there to serve as examples of Qualia, and thus prevent the tyranny of an anthropomorphized mind. I agree. Qualia seems to be also an 'emergent' property of life and consciousness and is going to take a bit of explaining, just as how water molecules feel 'wet' to a human (and indeed animals whose discomfort at having wet fur may give a clue to the feeling of 'wetness'), and the trickier problem of how 'sensation- perception' actually operates in the mind. Yet I see no reason to suppose that such explanations will not be forthcoming and in itself, a lack of a practical explanation right now does not justify any mystification (no pun intended) of the qualia problem. Which is not to be confused with the 'hard' problem, which turned out not to he the hard part of the problem, but a philosophical position which wasn't really a problem at all. The qualia problem remains out of your grasp intellectually because you ignore the need for a central "something" to MAKE all those qualitative determinations. You just assume it is the illusory YOU (your "Self") that has no real existence in your mechanistic view of individual material processes that produce the "emergence." Your mind seems ill-suited to engage the qualia problem which is why you don't get the hard problem and consider it some irrelevant philosophical issue. The practical issues that impinge on the matter of qualia remain out of your grasp because you shut your eyes to the central something being the mind and dismiss the possibility of this actually being enough to manufacture all aspects of our thought, including God -feelings and qualia, partly because they seem so amazing and inexplicable, which I can understand, but mainly because you want there to be Something More, because of Faith that there is Something More. Now, I don't deny that Gaylenwoof could not get me to understand the apparent problem of dualism because I first thought it was a practical problem, which actually wasn't one. Then it seemed to be the problem of being trapped inside our own perceptions, which was a problem, but not a serious one. Thus I really couldn't see what the problem actually was, and can only say that, while my respect for gaylen's knowledge of Philosophy is unbounded, every time I got what he was trying to argue, it wasn't (in practical or scientific terms) much of an argument at all. Indeed, he often had to remind me that he accepted that 'physicalism' could in time explain qualia, which i often forgot, because if he accepts that, then the whole business of qualia becomes a material problem that isn't explained yet. Last edited by TRANSPONDER; Yesterday at 11:57 PM..